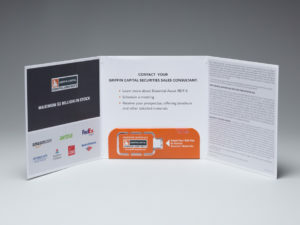 Statistics show that high school and college-aged students like direct mail. 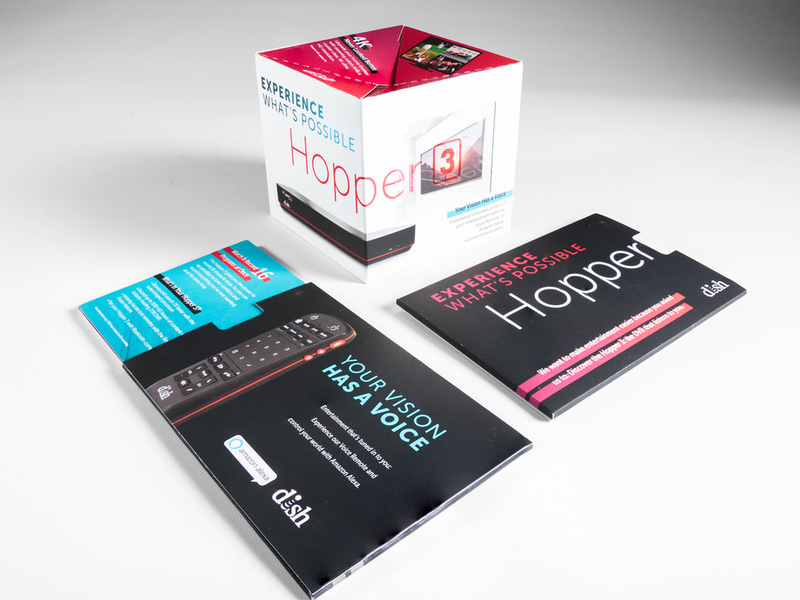 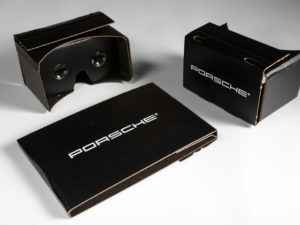 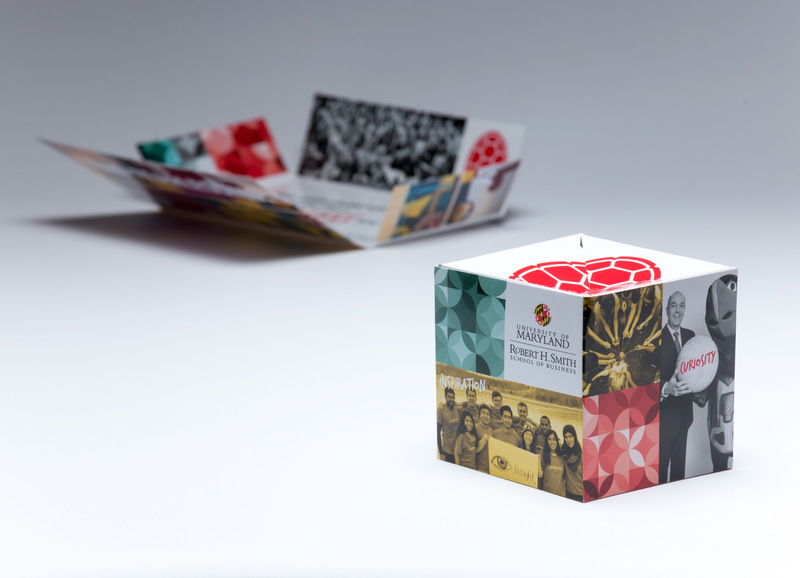 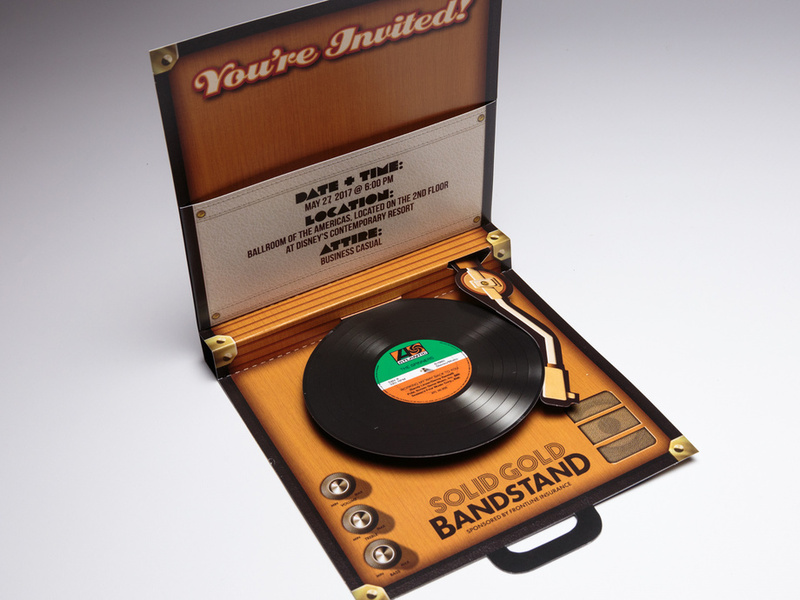 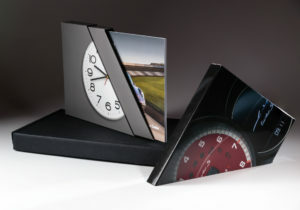 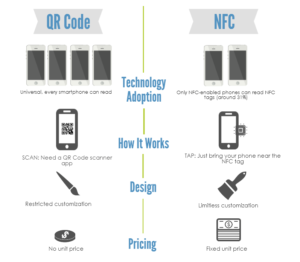 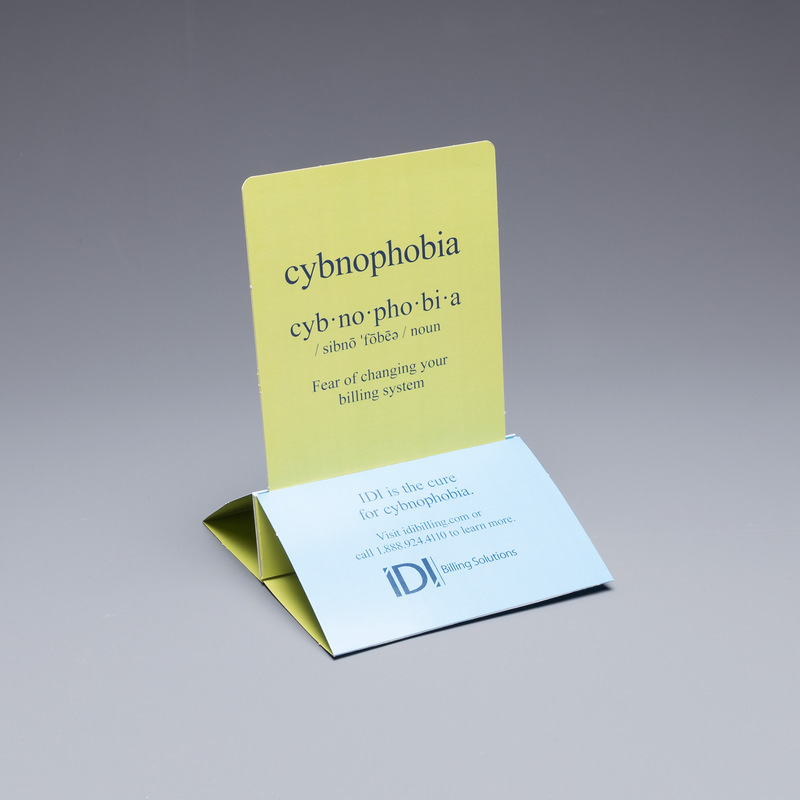 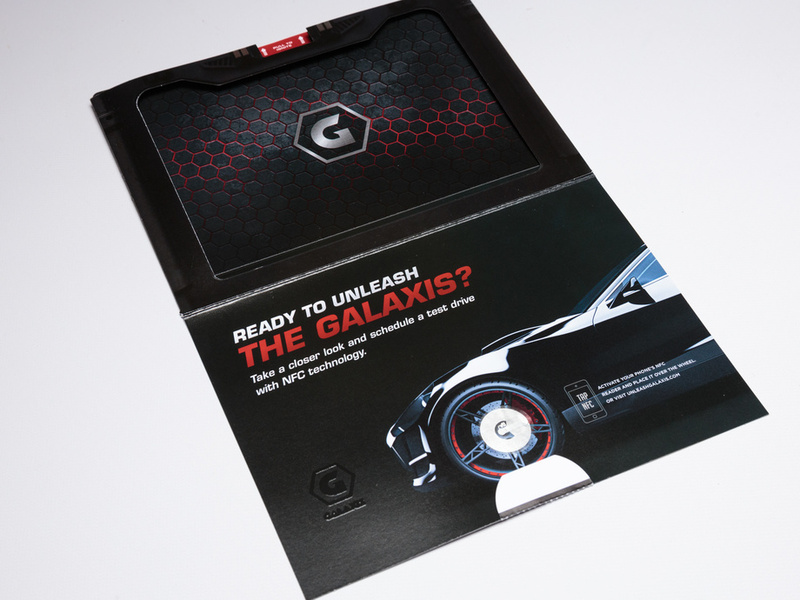 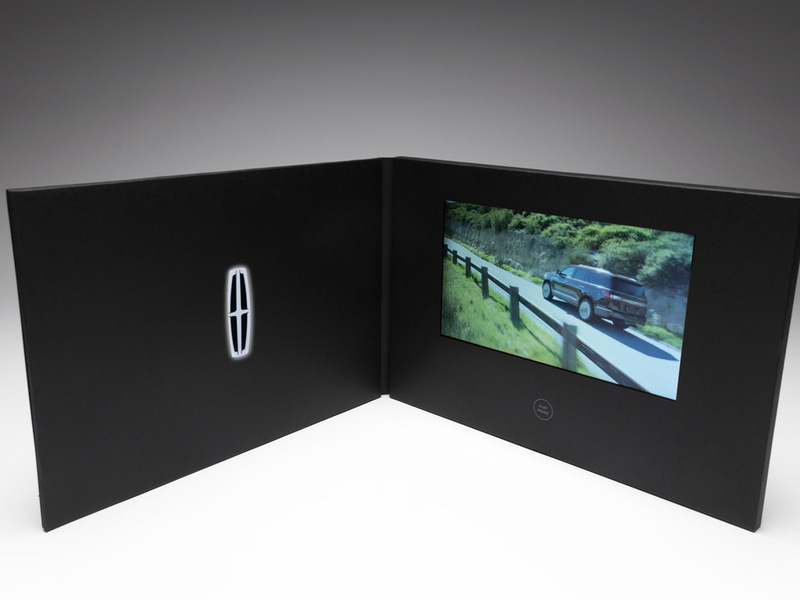 Our direct mail is dimensional, interactive and engaging. 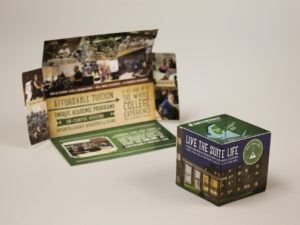 With other colleges and universities soliciting the same top-prospect students that you are, direct mail from Red Paper Plane and Structural Graphics will make sure your message gets noticed and stays top-of-mind. 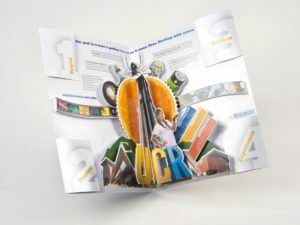 UC Riverside chose this dimensional folder to send out information about its different colleges to accepted students. 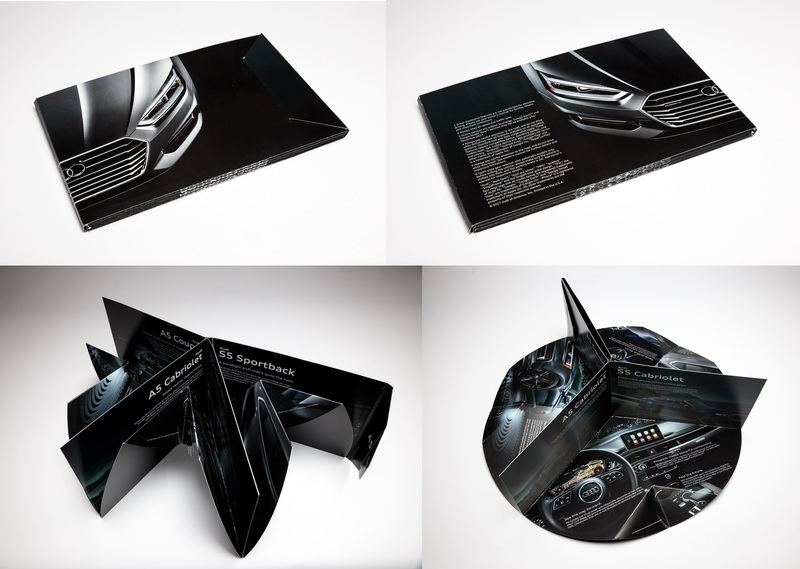 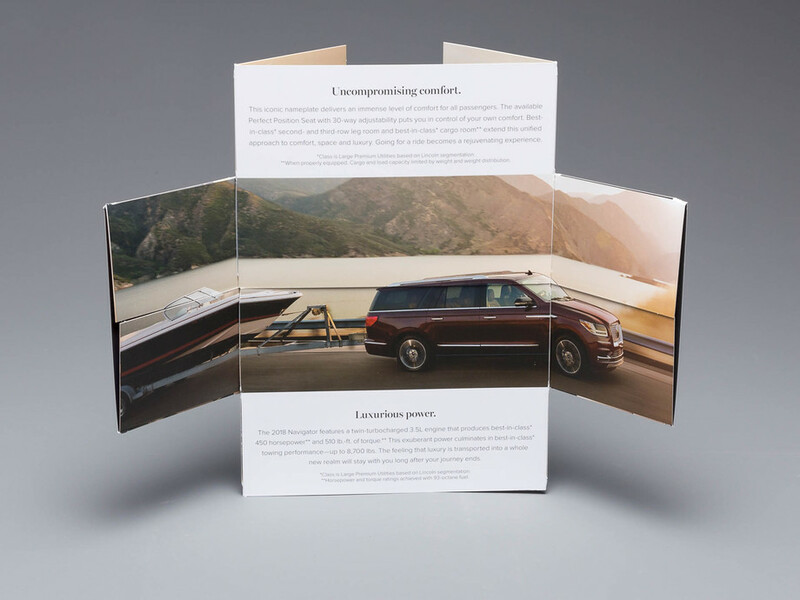 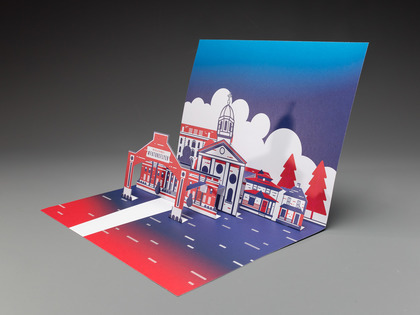 The piece starts off as a seemingly flat printed folder, but when you open it up, an intricate pop-up immediately rises from the center. 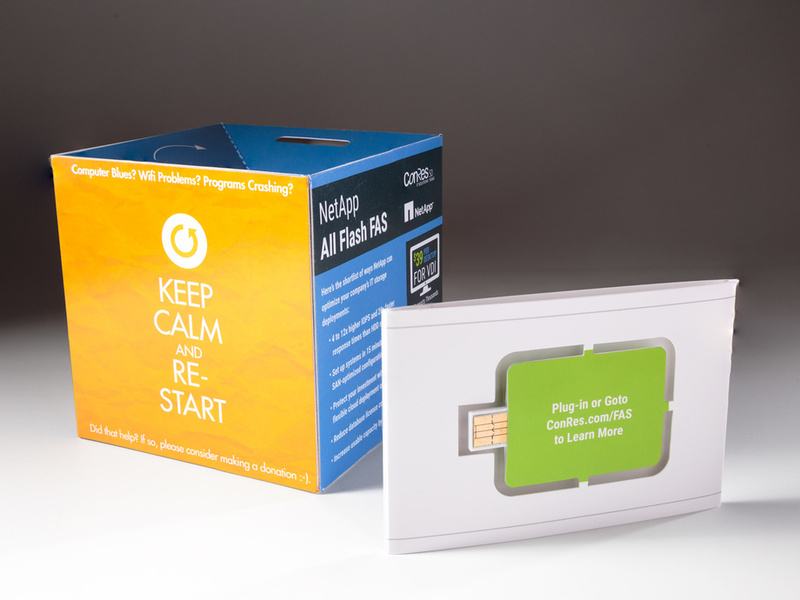 Each corner of the piece featured individual mini folders, each containing step-by-step instructions on how to get started with enrollment. 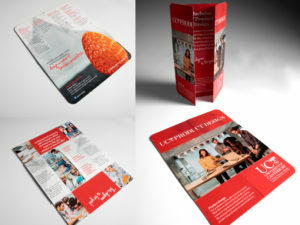 University of Canterbury used our Flapper to recruit students to its school and to promote its Product Design program. 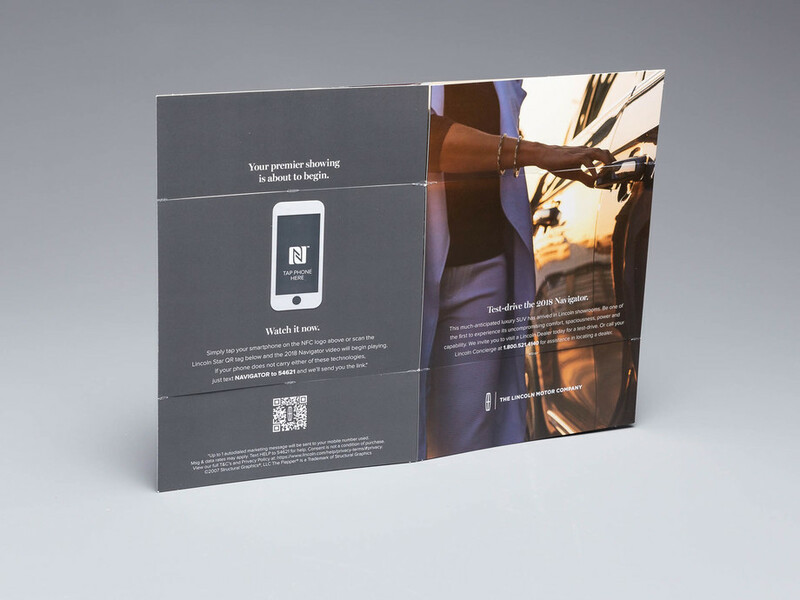 They chose the tablet-sized Flapper and displayed their information in a portrait layout. 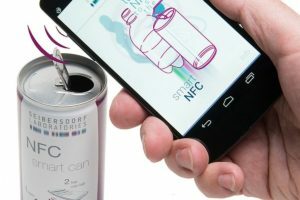 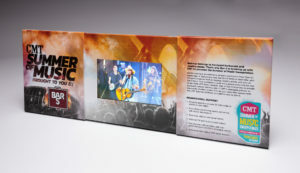 The inside of the colorful Flapper featured bright graphics that represented the key aspects of its product design program. This clever Extendo mailer went out to prospective MBA students from the Georgia State University J. Mack Robinson College of Business. 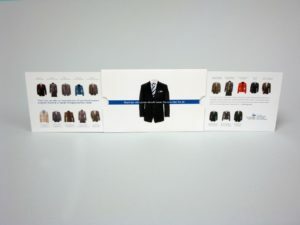 When you pull on one of the sides, the other sides pops out automatically – revealing a series of business jackets, each detailing one of the 4 MBA programs and 18 specialized master’s programs. 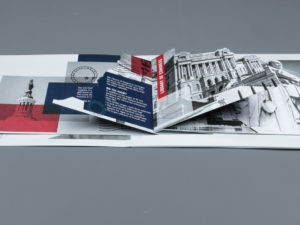 Rutgers School of Business used the Exploding Page design to deliver information about its business program to prospective students. The self-mailer appears to be a standard looking direct mail piece on the outside, but when opened up, it expands to twice its original size. The inside of the mailer contained information about the different programs offered by this prestigious school. 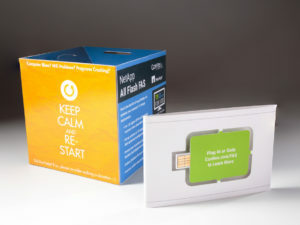 Fill out this form and we’ll send you an exciting sample pack!